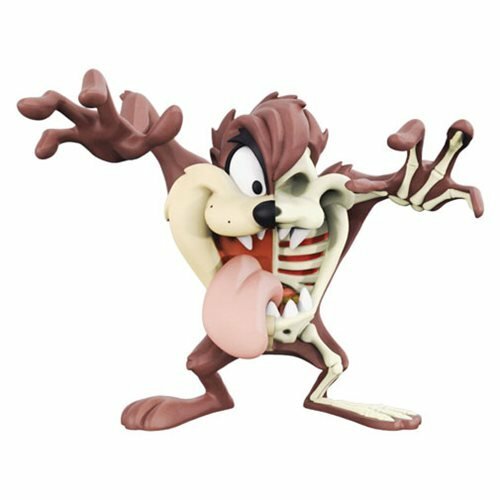 Collaborating with world famous artist Jason Freeny, XXRAY offer collectors an exclusive look into the inner beauty of their favorite Looney Tunes character. Tasmanian Devil stands at around 4-inches tall, featuring an unique dissection. This vinyl collectible is individually hand painted and assembled. Ages 8 and up.